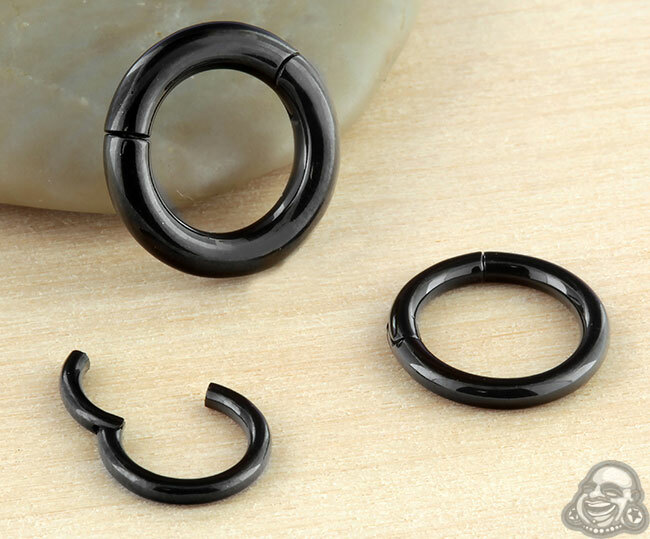 These classic black PVD plated clicker rings are made with 316L stainless steel. The hinged clicker mechanism allows for easy opening and comfortable wear! More clickers are available here. Clickers 8g and over can be difficult to open due to the gauge size. We recommend using tools to assist with opening and closing.